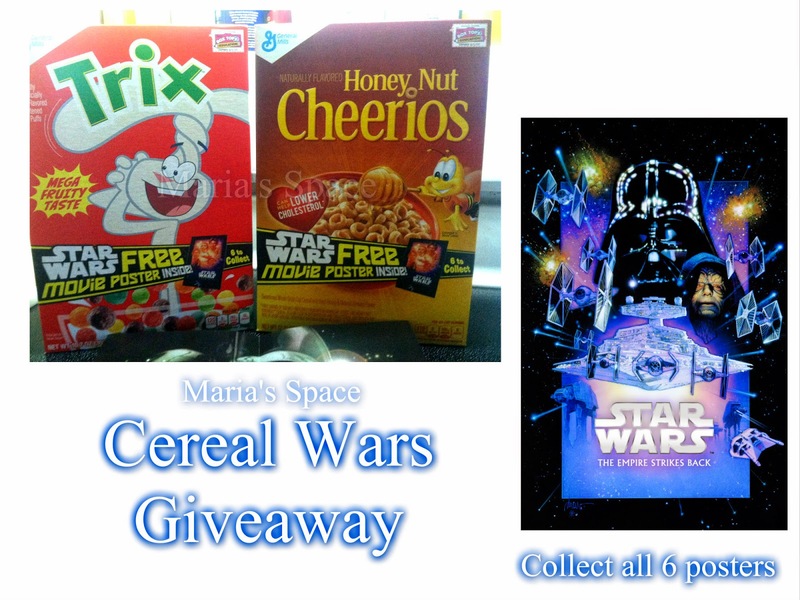 Cereal Wars is once again in full effect with General Mills and Star Wars teaming up for a fun tasty treat AND Star Wars Merchandise. For a limited time General Mills has hidden inside their cereal boxes, six timeless movie posters featuring your favorite Star Wars films. 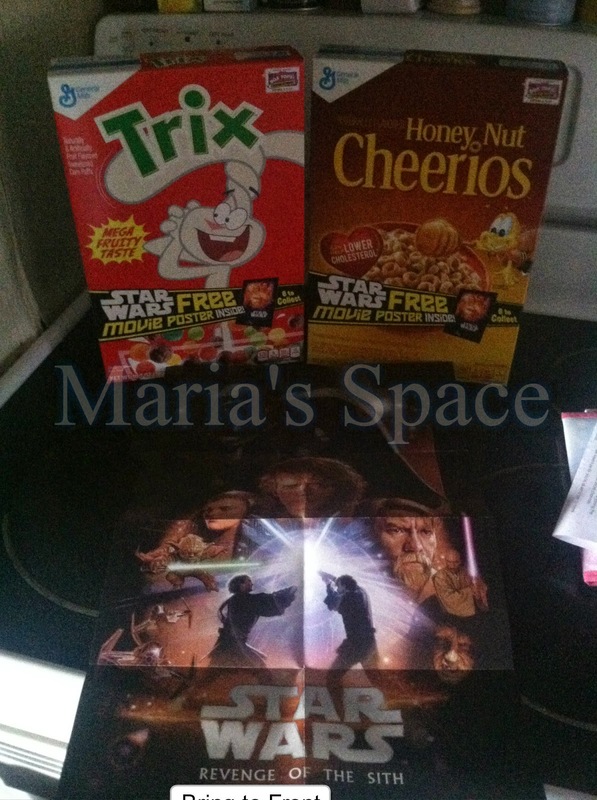 Star Wars and cereal fans alike can collect all six classic posters in each participating brand of General Mills cereals, including Cinnamon Toast Crunch, Honey Nut Cheerios, Trix, Cookie Crisp and Reese’s Puffs. 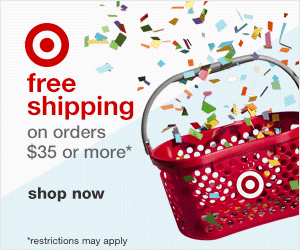 Grab your cereal now because this offer is for a limited time only. This is too cool! 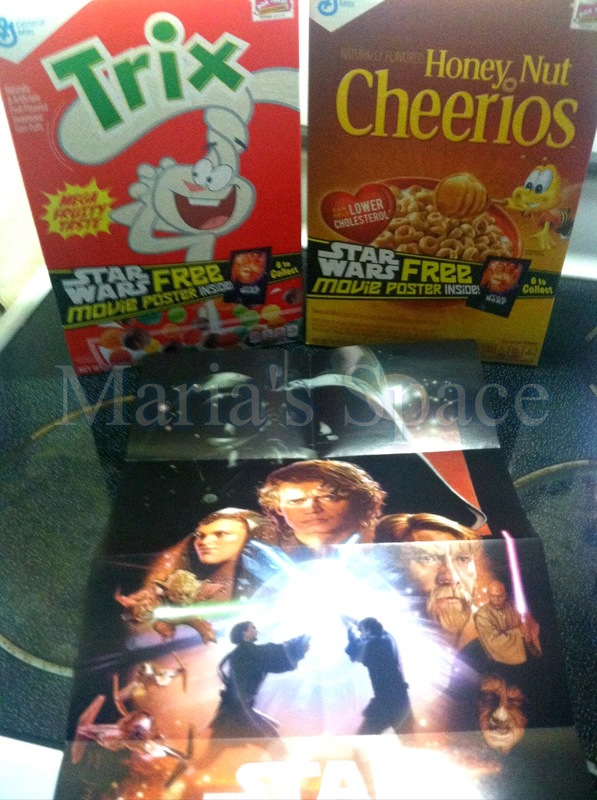 Who doesn't love cereal and I don't know anyone who doesn't love Star Wars! Check out the #CerealWars Tumblr page that will be launching next week for more fan fun surrounding the General Mills and Star Wars partnership. Some of the photos are hysterical. My kids love Trix so this box went in two days. My daughter has been eating them in a snow cone. Hmmm...interesting. Cinnamon Toast Crunch is great! My all-time favorite is Regular Cheerios! My fave is Cinnamon Toast Crunch,and the kids like Honey Nut Cheerios and Trix. I subscribed to General Mills on You Tube. Lucky Charms is one of my favorite cereals. My YouTube is Brenda Melendez. My favorite General Mills cereal is the original Yellow box of Cheerios, love them and still eat them at my age. I love Multi-grain cheerios. I find them sweeter than regular cheerios without being over sweet. I love Honey Nut Cheerios and eat them all the time. I love Trix! My sons love Honey Nut CHeerios! We love Trix and Honey Nut CHeerios! We like plain cheerios here the most. I like Franken Berry cereal. 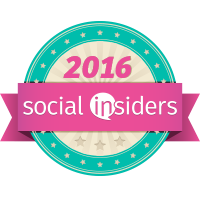 I followed on Youtube - Natalie B. We love Honey Nut Cheerios in our house. I'm subscribed to General Mills on YouTube under jtmagmom73. A favorite of mine is Honey Nut Cheerios! I love Vanilla Chex! Yum! Regular Cheerios is my fave!